By the grace of the Almighty God, all the branches are progressing day by day in a full swing. The schools, college and Degree course have successfully been affiliated with the Board of Intermediate and Secondary Education, If you want to apply for this job, you should submit your application within specific time. 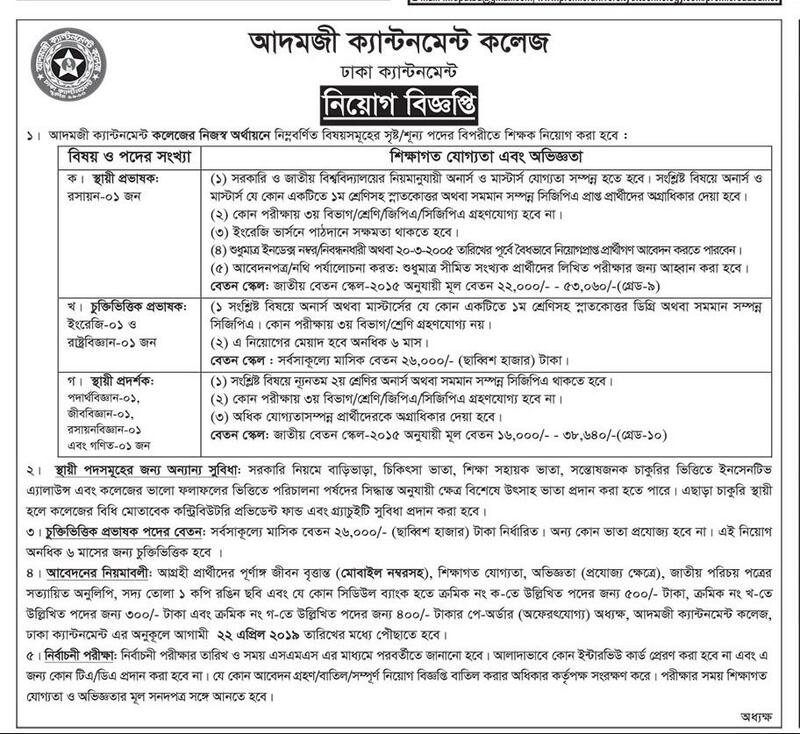 Cantonment public school & college job circular 2019 has been converted to an image file, so that everyone can read easily or download this job circular. 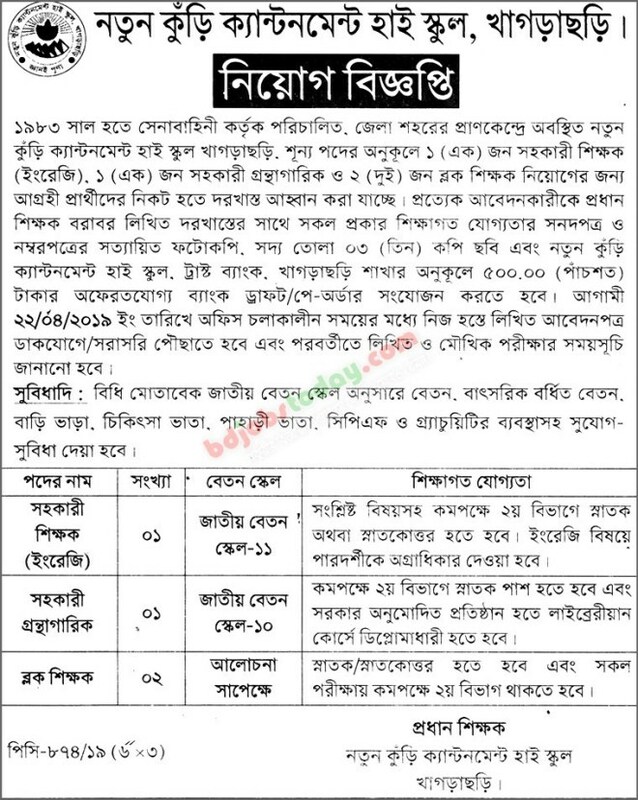 Cantonment public school & college job circular 2019 has been given below. 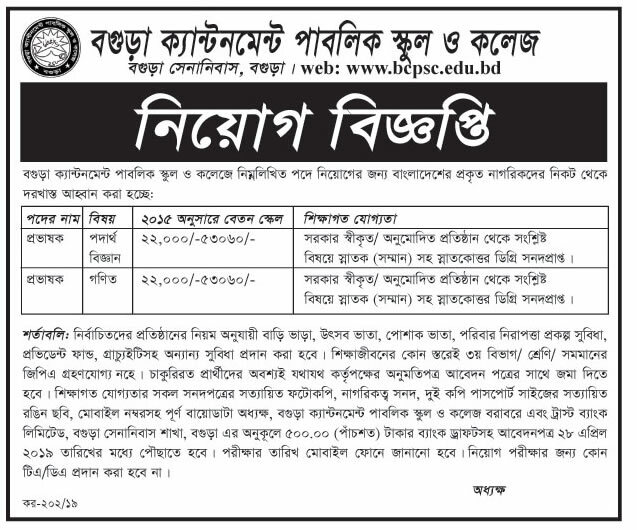 Employment type : Please See The Job Circular. 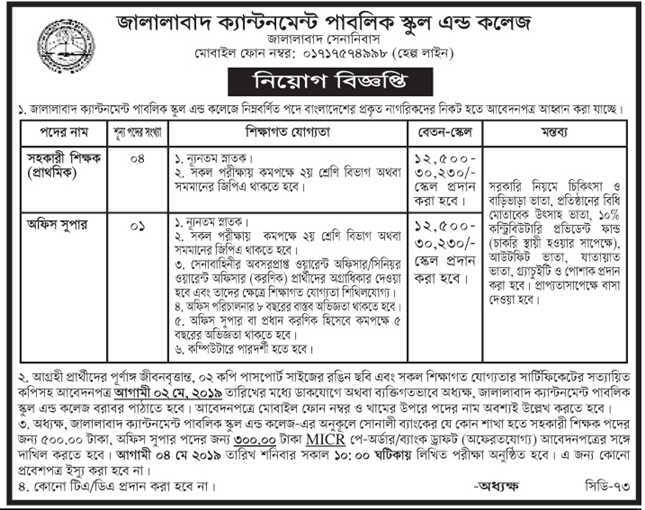 Compensation and Benefit : Please See The Job Circular. How can i education this schools class 9?